You are here: Home / BLOG / Uncategorized / Back in Tofo! 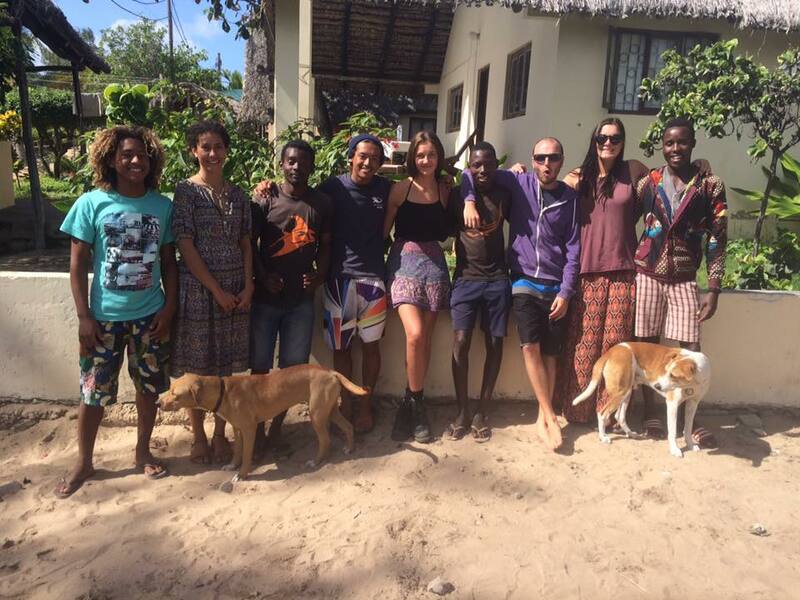 When I embarked on a three month volunteer program with All Out Africa Mozambique in 2015 as part of my gap year, I had very little certainty as to what I wanted to pursue at university the following year. I expected the experience to expose me to new cultures and allow me to grow and develop new skills. I didn’t expect the experience to be more rewarding and formative than anything else I had done. Having learned to dive, identify fish and collect data on the beautiful coral reefs and stunning marine life that I have always loved while in Tofo, a latent passion for field biology was ignited. I was absolutely heartbroken when at the end of three amazing months, I had to leave Tofo. However, I fully intended to return to Tofo equipped with more skills and knowledge. So, when an opportunity presented itself to participate in an overseas research internship as part of my studies in Australia, Tofo and All Out Africa immediately sprung to mind. I seized the opportunity to return to Tofo and the amazing staff at All Out and I was not disappointed. Being familiar with the responsibilities and skills involved in volunteering I was excited to be given more responsibility and learn more about Katies many projects. Katie expertly balanced explaining details and concepts to me with giving me tasks that allowed me to independently develop my skills as a scientist and researcher. Katie gave me the opportunity to collect and process data towards ongoing data sets in new and exciting areas of marine biology. She also allowed me to collaborate with her on the experimental design and data collection of new projects. The opportunity to work and collaborate so closely with an experienced research scientist on such fascinating projects was extremely humbling and informative. I came to Tofo as an intern eager to gain field research skills and experience that would set me apart from my peers while allowing me to grow as a biologist. I can comfortably say that I gained more in confidence and practical skills in my time as an intern than in a whole year of study at university and I feel so enriched by the experience. My only regret about my time at All Out as both a volunteer and as an intern is that I wasn’t able to stay longer. https://alloutafrica.com/wp-content/uploads/2017/06/11817204_10206178066702926_1936437257911320088_n.jpg 720 960 alloutafrica /wp-content/uploads/2015/09/All-Out-logo_transparent_2.png alloutafrica2017-06-02 09:42:542017-06-02 09:42:54Back in Tofo!